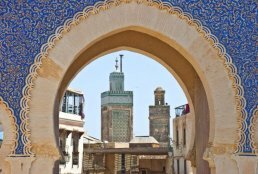 Reinvent the glory of a different world cocooned with calm, peace, serenity and solace with Your Morocco Tour. With over number of years of expertise as a tour operator and managing company, we provide specialize tour packages to the clients. We ensure to make your journey of of the most treasured lifetime memoirs. We understand the odds and difficulties faced during a foreign tour. Avoid all sorts of strives this holiday with our holiday packages and amiable tour guides. Whether you are a small family or else an extended one, we have tailor made tour packages to every type of family or friends. 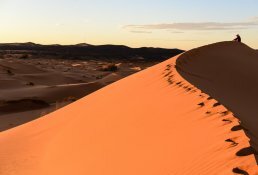 Please go through our suggested tour options and their respective pricing at http://www.your-morocco-tour.com/tour-morocco. Moroccan Architecture is full of vibrant colors and beautiful patterns compelled by Islam but also influenced by Berbers, Africans and Europeans settlers. On dominating mosques, royalty tombs and old housings you find eye catching arches, wooded ceilings with colorful drawings, incredible array of zelij (tile) with unthinkable colors and pattersn. you get to experience this amazing masterpieces by just walking in the medinas of ageless cities and by staying in one of our selective riads. If this is not enough for you, then you can admire striking gardens like Majorelle in Marrakech - design in vibrant blue. There are ancient palaces to tour where not much remains today but with bit of imagination indulging life of the rich comes to alive. Morocco has it all! In the country you find so many varied and breathtaking landscapes. From palm spotted oasis, amazing golden desert scenes, majestic terrains of the High Atlas Mountains, magnificence of coastal cities to cedar tall forests, sky rising gorges and much more! Check into our Desert tour itineraries that includes night spend in the desert in Nomad tent completely surrounded by deserted dunes and camel trekking of course! Moroccan culture is great blend of Arab and Islamic believes with European influences of the Moors with the nomadic Berber caravans. Country that has fascinated many travelers for centuries. 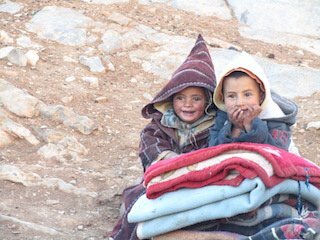 In Morocco generosity of the natives awaits you! 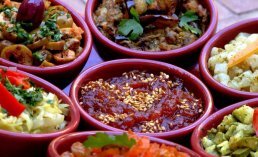 Food lovers, professional as well as amateur cooks find heaven in Moroccan cuisine. Aromatic tajin, tender pastry filled pastilla, homemade cous cous, meat tender tanjia guarantee mouth savoring experience.